International interest focuses on why pupils from East-Asia tend to outperform pupils from the West and scholars have proposed a number of possible explanations to account for these international trends. 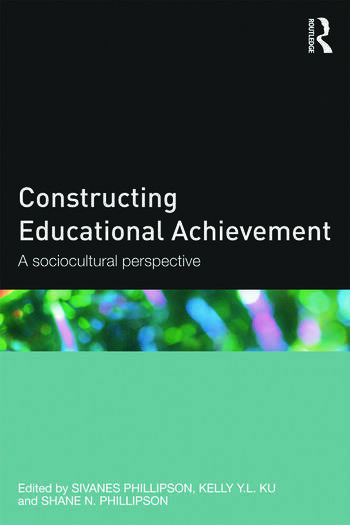 Using Vygotsky's theory (1978) as a conceptual framework to "construct" school achievement, this book puts forward culturally relevant context for understanding developmental aspects of children’s school achievement and their implication to classroom practice and education progress. Converging the two important lines of inquiry – the child factor and the sociocultural factor – this book showcases evidence-based scholarly works from across the globe that shed light on causes of academic achievement in different contexts. The book brings together eminent scholars from early childhood, primary education, secondary and vocational education who expertly capture the vitality of development and processes of specific child factors and their interaction with their environment that explain their school achievement. Foregrounded in the five planes of cultural historical, institutional, social, personal and mental, the research explain how children think, learn and form the will to perform amidst the changing social and family environment, and challenging school and educational environment. Sivanes Phillipson is Associate Professor of Family Studies at the Faculty of Education, Monash University Clayton Campus. Kelly Y. L. Ku is Assistant Professor in the Department of Education Studies at the Hong Kong Baptist University. Shane N. Phillipson is Associate Professor at the Faculty of Education in Monash University.